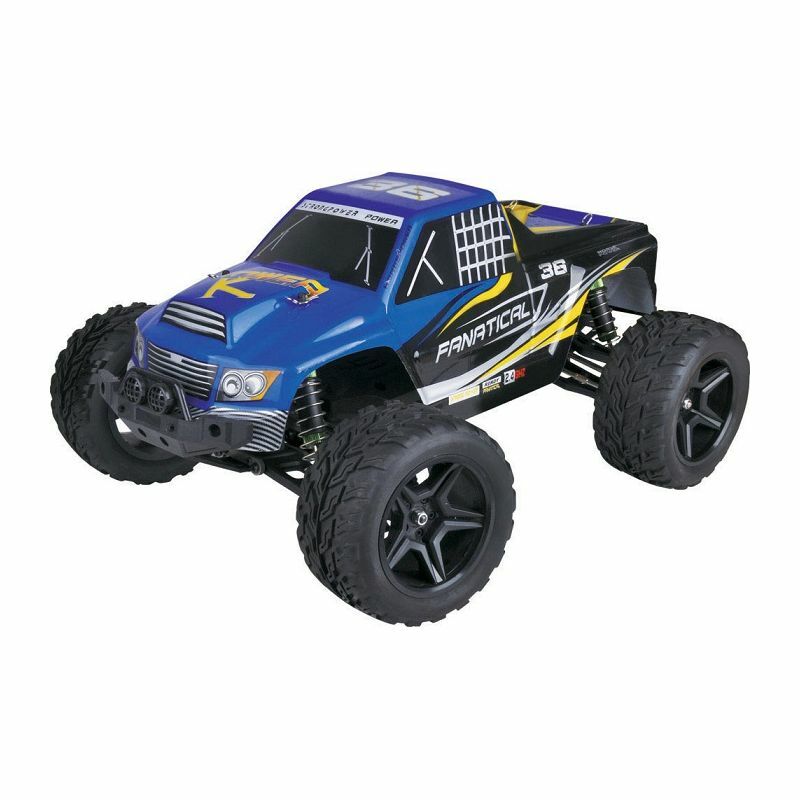 Ripmax 'Rough Racer' cars have been designed to offer performance with an emphasis on value for money. 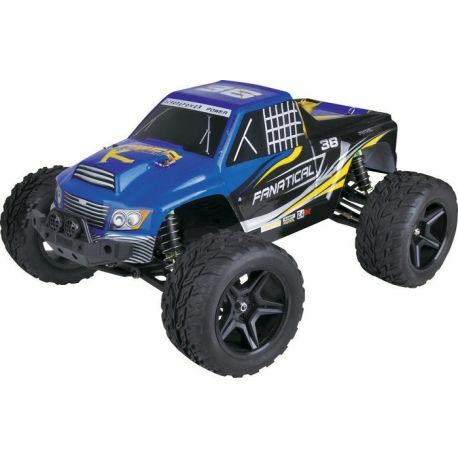 This Monster Truck really stands out thanks to its big wheels and beefy body design. The stiff shocks and tough wishbones mean the 'Rough Racer' is ready to absorb almost anything you can throw at it. Utilising tough injection moulded plastic the 'Rough Racer' is not only robust but also low weight. The power comes from a strong brushed motor combined with a lithium battery for a balance for performance and duration. The electronics are pre-installed the car is pre-built for you in a 'Ready to Run' format. Meaning you only require 'AA' batteries for the controller to get you running. Ready to Run - No assembly required! 4 x 'AA' batteries for the transmitter.